Curves and a Camera: Who needs cookbooks? I need cookbooks! When I saw the title of this article in the Seattle Times my first reaction was "Um? I do!" I have ones that were my grandmothers. I have ones that cost me $0.50, that I bought when a nearby Borders was going out of business. Heck, I bought The Classic Party Fare Cookbook to get inspired and find ideas for my sister's bridal shower. Sure I do get some of my recipes online. But when we're struggling for dinner ideas there's nothing better than gathering a few handfuls of cookbooks, spreading them out on the couch with me and reconnecting with old friends (i.e. my books). I understand the allure of going digital. 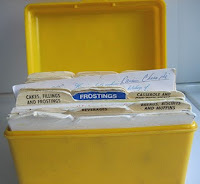 We have my mother's old faded yellow recipe box full of loose-leaf index cards and magazine cut outs. I had been working on transcribing the magazine recipes onto 3x5 cards, to make the box a bit more organized. Perhaps it does make sense to take these and put them into a digital form. The author makes a good point about easier to search a Word document than a stack of index cards....but to me that's half the fun. 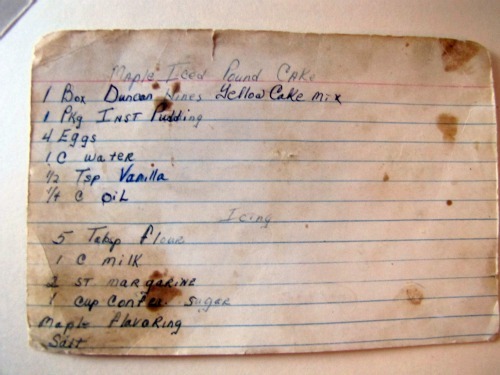 You (re)discover old recipes that haven't been made in ages. You come across a card in your great grandmother's chicken scratch writing but still have no problem making out every single word. For me cooking isn't just making food. It's reconnecting with your past. It's forging your way into the future. It's life. It's love. It's happiness. Are you a cookbook or computer cooker? Who needs cookbooks when you have a computer? 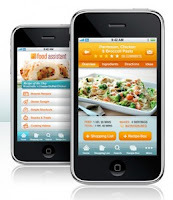 Creating a digital recipe box may help you clear out clutter and easily use recipes on the go. It all started with a move. Not a downsizing, but an upsizing to a place with more storage and a bigger kitchen. But when I opened the cabinet where I store my cookbooks, magazines and thousands of recipes that I've been saving for the past couple of decades, I was horrified. Had I become a hoarder? I started pulling them out and making giveaway piles, but it wasn't long before the stacks were so tall that the dog couldn't find his way to the door. That was the moment I decided to pare down my cookbooks and shift my recipe collection from the sagging shelves of a big front hall cabinet to a thumbprint-size digital folder on the desktop of my 13-inch laptop, where I quickly discovered that I am not a pioneer in this endeavor. 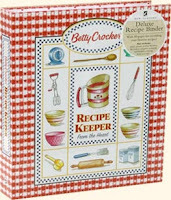 The Internet is full of discussions, apps and suggestions on how to create a digital recipe box. With tablets, iPads and other devices becoming ever more portable, it's a process that I haven't yet come to regret. Not that I'll ever get rid of the vintage book of cocktail recipes from the Savoy Hotel in London that I got from my friend Deb, whose parents picked it up during their honeymoon in the 1930s. Or the cookbook that I received from a woman I met in Sitka, Alaska, while we ate a spontaneous supper on the small tugboat she'd just piloted through the Inside Passage. Or the collection of Buchta family recipes that my cousin, Lisa, collected from some of the ancient aunties. The giveaway pile grew and so did the stack of recipes set for scanning. I had already started to copy recipes that I found on the Internet into a folder on my desktop computer, and I made a commitment to continue the digital collection. The decision required some mental gymnastics. A laptop is no substitute for the batter-stained pages of a favorite food magazine — especially for someone obsessed with food. 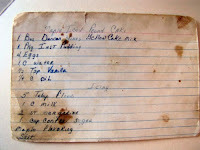 I had started collecting recipes when I was a kid. My grandmother was a chef and a caterer. My folks saw prepared foods as a luxury we didn't need or want. And my mom kept adding to a big box of recipes and newspaper clippings, which I took refuge in when I was bored and while other kids were building forts. I built forts, too, but mine always had a kitchen. So back to the purging. There's another reason why — like so many other kindred, hoarding souls I've met on the Internet — I have crossed to the dark side. More families than ever travel, but don't have room in the SUV to haul around their kids and the cookbooks as they go from house to house. Like a lot of modern families, mine roams gypsy-like among several kitchens in different states. Many times I've volunteered to cook a big family meal in Minneapolis only to realize that the corn souffle recipe from my friend Rose, for example, was in the messy drawer at the family farm in Wisconsin. Or that the Thanksgiving menu and corresponding shopping list that I'd carefully planned through much trial and error over the years was in a file folder 350 miles away from the meal. So it was a no-brainer to keep my recipes in something I never leave home without: my laptop, which gets backed up regularly, has seemingly infinite storage space (unlike even my new and bigger kitchen) and is always at my side. That's not to say it was easy to say goodbye to the stacks of Saveur, Cooking Light and Bon Appétit magazines piled up in my front hall. Even though I cross-checked the printed magazines with the websites to make sure that the content really is available online, those glossy covers reminded me of a mouthwatering meal I'd made, or wanted to make. Or of a place I wanted to go. Or of a brainless afternoon lying in a bathtub and dreaming about my next meal. And so, after flirting for a moment about the illogical prospect of just mailing my castoffs to similar-minded friends, out they went, six or seven big plastic bins of books, recipes and clippings, to Half-Price Books, where I got a few coins for each magazine, just enough to fund a few treats from Caribou. Was it the right decision? Time will tell. For now, I'm still packing for my move and am relieved that the cookbooks I haven't used for years and the recipes that I could never find won't be among the things I have to schlep. And I'm relieved that during my next family cooking assignment, I won't have to decide which recipes to pack. All I'll have to worry about is where I put my laptop. • You'll have your recipes wherever you have your laptop. • No more stacks of disorganized magazines or books. 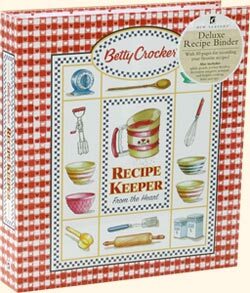 • It's much easier to search a Word document than it is a box of disorganized recipes. • Not as much fun — or practical — to read recipes in the bathtub on your laptop. 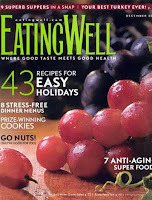 • Few cookbooks have a digital counterpart, though most magazines and newspapers have easy-to-search recipes online. 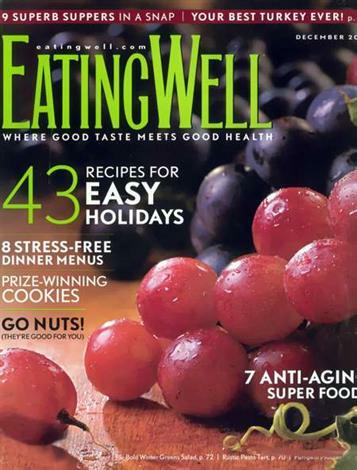 My approach is relatively low-tech: I maintain online subscriptions to my favorite magazines, including Saveur, CookingLight and Cook's Illustrated, which all have terrific websites. When I find an online recipe that I like, I copy-and-paste and save it in a text file in a folder on my desktop. If I have a hard copy, I scan it. On my computer I have a generic "food" folder where I keep all kinds of recipes, which are very easy to search using keywords. If you're saving a PDF file, be sure to rename it with a word that's easy to search, otherwise you'll end up with a default name that will mean nothing to your search tool. In addition, I have several other electronic folders for specialty foods that are particularly timely. Right now I have one for honey recipes, a Thanksgiving menu, desserts and a few others. I also have an extensive "food" bookmark where I save links to cooking blogs and food magazine websites, all of which have easy-to-search recipe directories. And where would I be without Epicurious? There are a growing number of programs, websites, apps and software programs designed to help cooks stay organized. For example, there's a new app designed for the iPad called Serving Size. It's $4.99. Even Martha Stewart is getting into the act. Her "Martha Stewart Makes Cookies iPad app costs $5, but every recipe has a photo, something you don't find in all cookbooks. And there's video, too. I play it by ear, and randomly put stuff in the pot. It's like I'm a Cooking Savant. I have cookbooks, but I find myself looking on the internet for ideas, then I do like scott because I'm missing some ingredients. I love cookbooks. My aunt made a cookbook of all my grandmother's recipes. She included family photos and food that are family staples. It's amazing and just one of the reasons I love cookbooks.